Two sisters volunteer together at a polyclinic assisting elderly patients and caregivers. When volunteering, it is always more fun when you have a family member to do it with you. That is exactly what happened with sisters Jean, 65, and Wendy Lim, 68. It all began when Jean bumped into an ex-neighbour working at the SingHealth Polyclinics (SHP)-Marine Parade, who told her about a volunteer programme at SHP called Helping Hands. 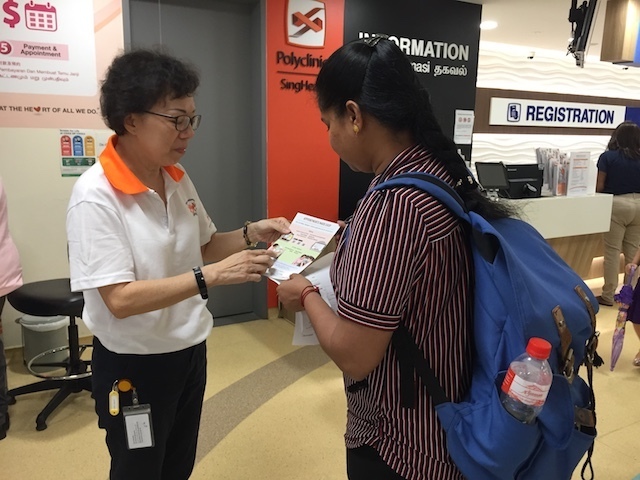 The programme, which piloted in February 2016 in SHP-Marine Parade, recruits helpful residents in the community to guide and assist elderly patients and caregivers in the polyclinic. Jean thought the volunteering opportunity was interesting and decided to rope Wendy in. Volunteering was nothing new to either sister – Jean occasionally did some ad-hoc volunteering, while Wendy, a grandmother of four, used to help out at an elderly home for two years, assisting in the morning exercises and pushing the elderly on wheelchairs to lunch. In March 2016, they embarked on a new volunteering experience, this time together. They went through a half-day training on various aspects such as falls risk and prevention, basic hand hygiene and infection control, fire safety, and handling wheelchairs. They then became part of a group of eight volunteers, with the oldest being 70 years old, at SHP-Marine Parade. As volunteers are able to choose their preferred dates and times to volunteer, the sisters chose to do so once a week on Tuesdays for around two to three hours, and mainly stationed at the appointment area. Wendy is no stranger to volunteering, she used to help out at an elderly home. Shared Wendy, “People would come and they wouldn’t know the queue system at the polyclinic so we would help them. Some would forget to take the queue number, or some would have an appointment slip and we would show them to a certain counter. 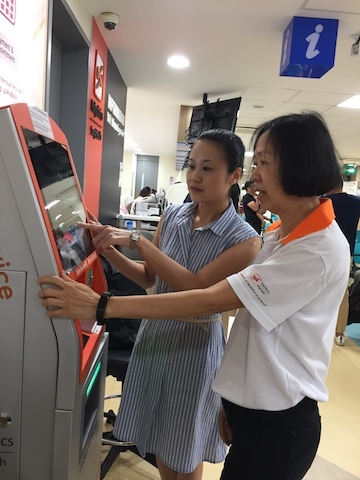 We would even accompany patients in the polyclinic if need be.” The sisters also assist patients using the self-service kiosks for registration, payment or booking of appointments, where patients can then skip the queue at the counters. The sisters shared that most of the senior patients they have met so far have been quite nice. Wendy, who used to be a personal assistant for 10 years, said, “The seniors like to talk to us because we speak in dialect. They often ask us to sit down and chat.” Jean shared that once when a queue number flashed, signalling the individual to go to the counter, no one stood up to go. She started to search for the patient with the queue number. A senior patient asked her what she was looking for and later helped her in her search. “She was very sweet,” recalled Jean, who used to do payroll in a hotel for more than 20 years. Jean once got lost in a hospital and can now appreciate the patients’ needs in the polyclinic. Wendy has her share of positive patient encounters too. She helped a young patient who didn’t have her handphone with her by making a call to her mother so the patient could get picked up. She also looked after a patient’s elderly mother in the polyclinic once, as the patient had to deal with a car problem urgently. Volunteering at SHP-Marine Parade for two years now, Wendy often gets recognised by patients. Apart from the satisfaction they get from helping patients, the sisters also enjoy some bonding time. After their volunteering stint each week, Jean and Wendy usually have lunch together and do some grocery shopping before heading their separate ways. Being a volunteer at SHP-Marine Parade, Wendy has now chosen to visit the doctors there rather than her general practitioner, while Jean is happy to be volunteering at a place where she has been seeing the doctors. Supported by the Silver Volunteer Fund (by Council for Third Age), SHP officially launched the Helping Hands volunteer programme at SHP-Bedok last year. 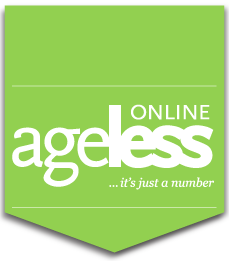 More than 21 volunteers over the age of 50 were recruited, with the oldest being 79 years old. 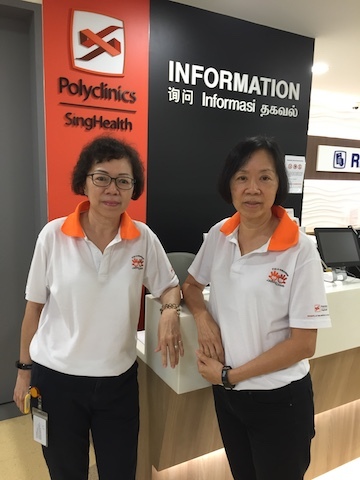 The programme will be progressively rolled out to the rest of its polyclinics, to promote active ageing in the community and encourage more like Jean and Wendy to volunteer into their twilight years. ** If you want to be a Helping Hands volunteer at SingHealth Polyclinics, e-mail your name, contact number and date of birth to: SHP.HelpingHands@singhealth.com.sg.